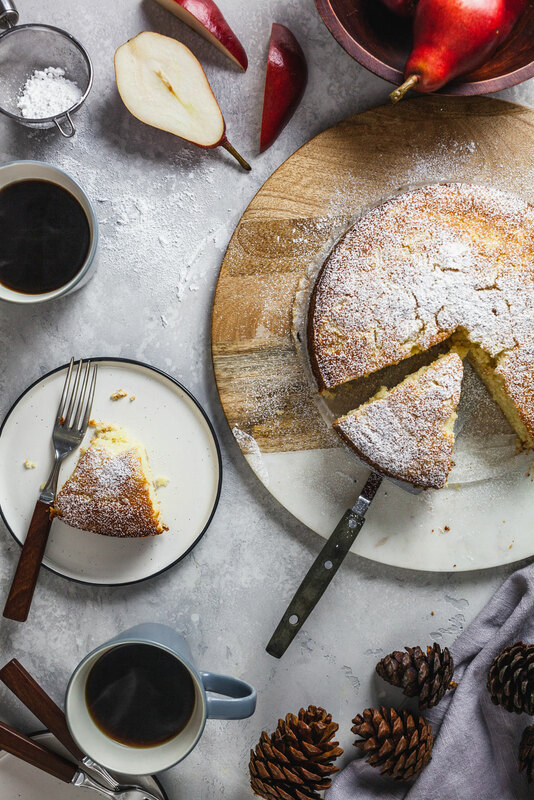 I absolutely love ricotta cakes. I’m very surprised that I haven’t posted one earlier on the blog. I love a classic lemon ricotta one. 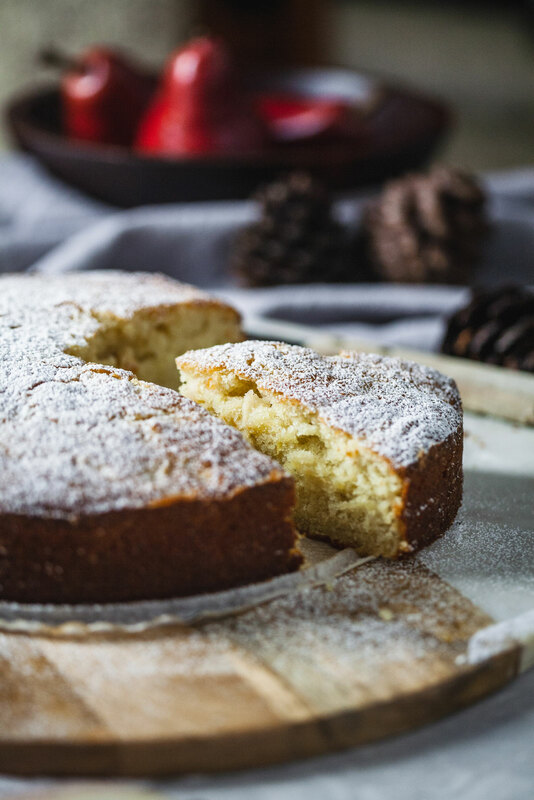 The texture is light and fluffy and it’s the kind of cake that is perfect for any occasion. It also doesn’t need to be fluffed up too much to be enjoyed. 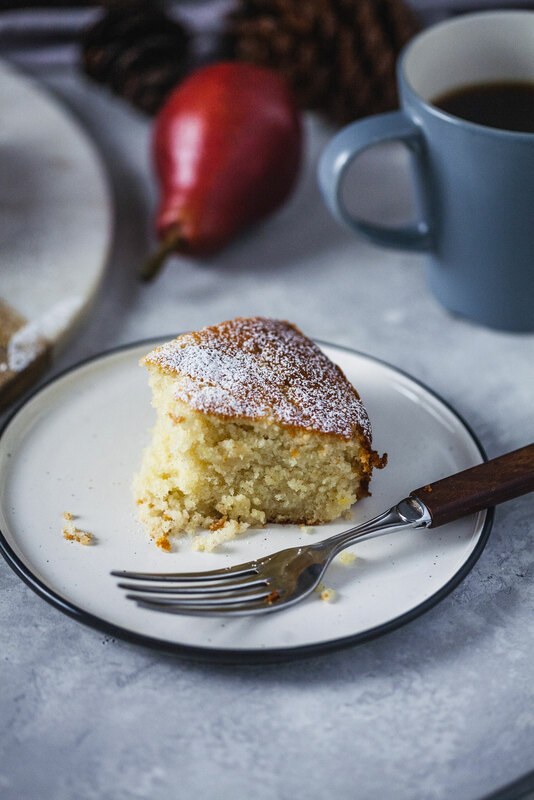 It’s a humble little cake that just needs a very light dusting of powdered sugar if that, and is the perfect thing to enjoy with a cup of tea or coffee. 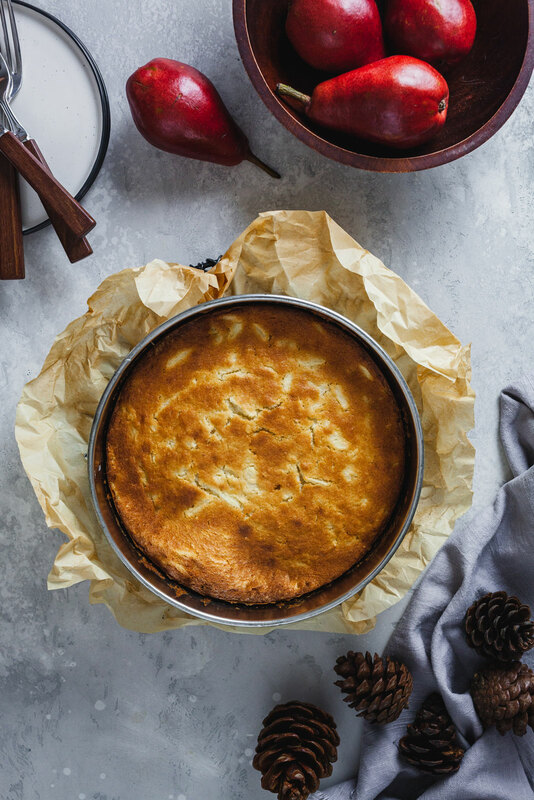 I saw this ricotta cake on Instagram on Food 52 account and knew i needed to investigate it further. 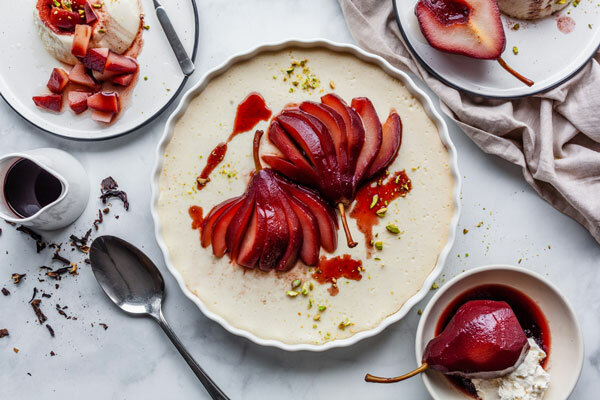 The one they featured on Instagram was the peach version, but the original recipe on the site is made with apples. 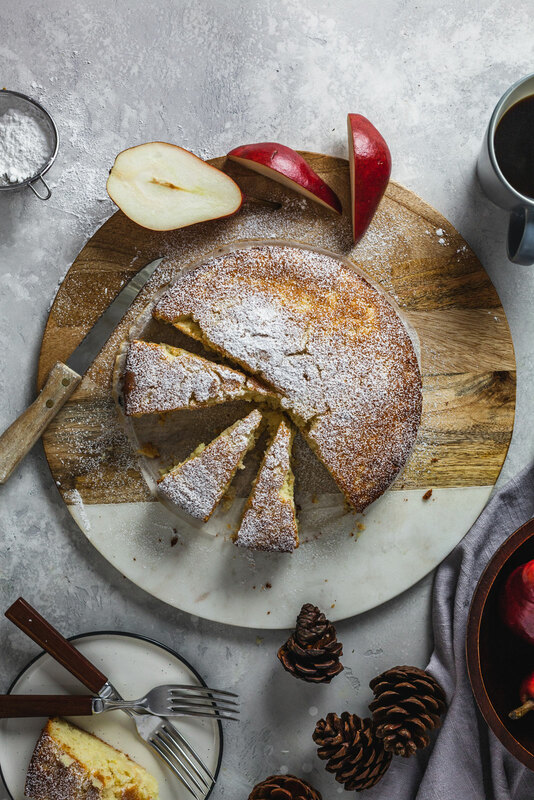 Although I do love both peaches and apples I thought this cake would be perfect with pears. 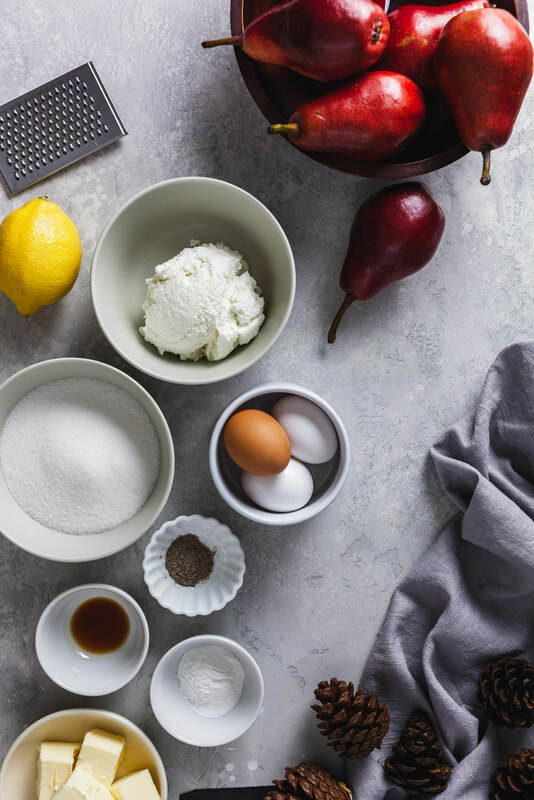 I love pears so much and I totally underutilize them in baking so I jumped at the opportunity to make this cake with pears. 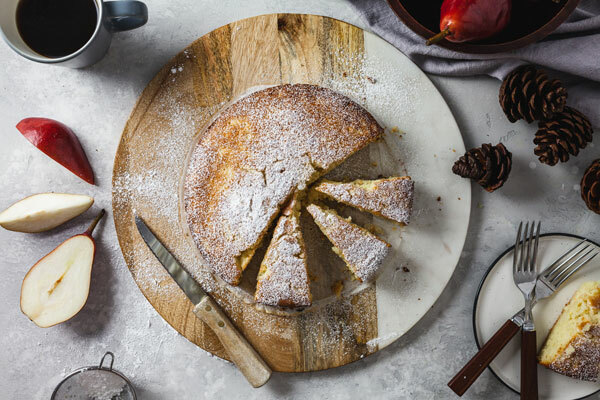 I think pears and cardamom are just a delight together and that’s why I added the cardamom to delicately flavour this cake and I’m so happy I did. 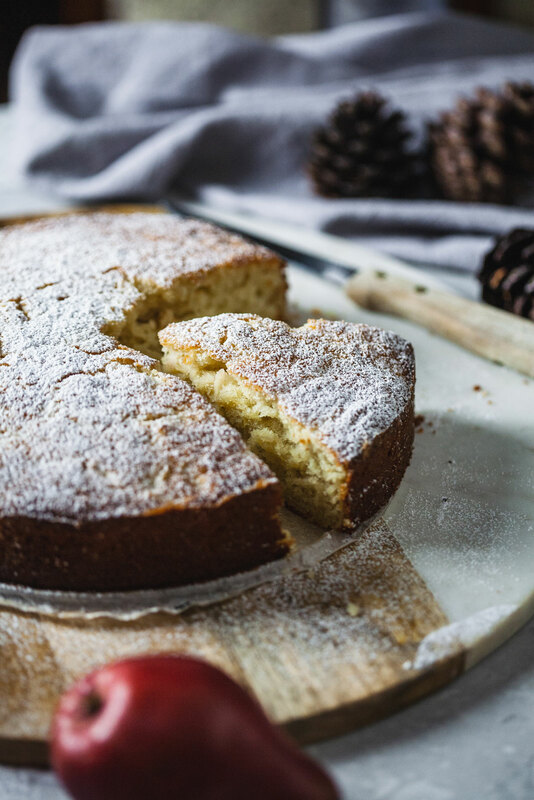 It’s citrusy, minty, spicy and herbal all at the same time, and it’s highly fragrant and such a nice compliment to the pears and addition to this cake. 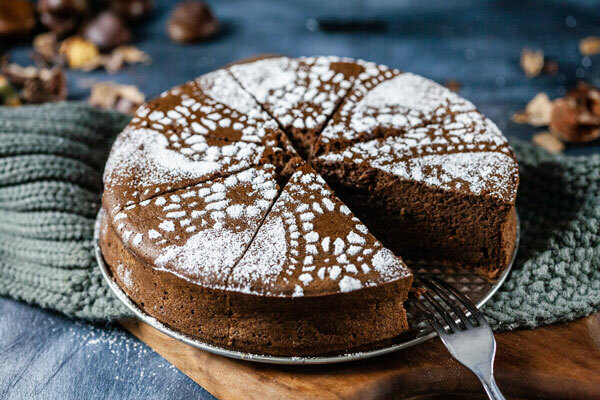 The cake itself is nice and simple to make and doesn’t take long to make either. My baking time varied from the original recipe for some reason and that is why I changed it from the original in case you were comparing. It’s light and delicious and the perfect way to step into fall. I really should say ease into fall cause I’m so not ready for it. I haven’t experienced a full winter in 6 years as I was living in Trinidad until this passed June. The sign of fall triggers winter anxiety an I am in total denial still. Please send help this winter - cause I definitely will need it! Seeing everyone’s blog posts about everything apple and pumpkin at the end of August had me severely panicking, as does seeing pumpkin and everything fall out in the stores in full effect for the last 3 weeks. It’s inevitable and I suppose I will again fall into a pattern of acceptance. I do appreciate the seasons, I don’t want to sound like that person. But summer really is my favorite when it comes to the weather and just about everything else that comes with it. I also find that people are generally in a better mood in the summer which makes working with humans and interacting with them so much more enjoyable. Anyways I’m taking baby steps towards warm and cozy foods and here is the beginning of several fall, warm spiced things to come on the blog. I know you will enjoy this one! Scrape the batter into the prepared pan, smooth the top and bake for approx 40-45 minutes, until the cake is golden brown and the sides start to pull away from the pan. Cool in the pan on a wire rack for 10 minutes. Turn the cake out of the pan and cool completely on the rack. Sift confectioners’ sugar over the top and serve.